Younger left-handed students will enjoy this creative approach to playing simple guitar chords. Chords are taught with exercises that build upon each other, eventually progressing to logical and common chord progressions. These progressions include I-iii-vi-ii-V-I and twelve bar blues in different keys. Chords are shown in diagram form with detailed illustrations showing finger positions in relationship to the fretboard. The book also introduces basic chords for folk music and power chords for rock. 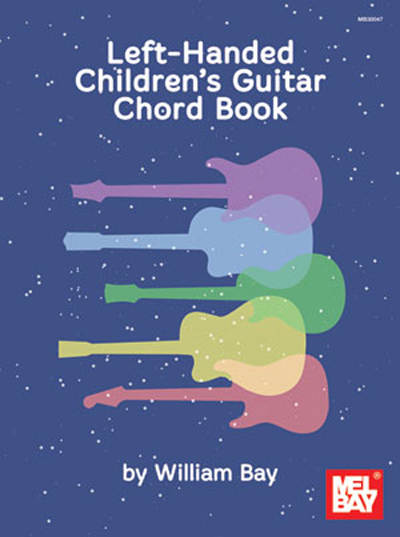 A complete easy chord chart and capo chart is provided at the end of the book for easy reference. Examples and exercises are presented in strum bar notation.